Networks continue to evolve into a complex array of devices and systems. Cisco technologies are the worldwide authority in computer networking and have become the widespread choice to streamline and protect these networks. Because of this, Cisco certification training is becoming increasingly valuable. Cisco’s CCNA has become one of the world’s most sought after certifications. Whether you are new to Cisco, or ready to advance your existing skills, National Business Training provides the necessary training to achieve Cisco certification. Our hands-on lab environments allow students to experience real-life scenarios during their Cisco certification training that can easily carry over to on-the-job skills. As a Cisco-Authorized training partner, National Business Training is a trusted provider of Cisco certification training, including the CCNA. Enterprise level or SMB? National Business Training has Cisco training options that include live online and client-site private training. 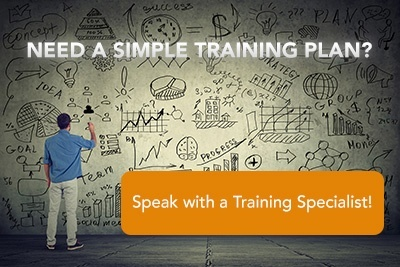 Contact us at 919-595-8200 or REQUEST A TRAINING SOLUTIONS PLAN to get started today! WHY DO I NEED A CISCO CERTIFICATION? Through our partnership with Cisco, National Business Training offers Cisco learning credits to help organizations save on training with pre-paid credit bundles. Cisco Learning Credits may be purchased with any Cisco hardware, software, or services order, or they may be purchased on their own. They are sold in packs of 10, 100, 500 and 1500 and each credit is worth $100 towards training at National Business Training. Contact us at 919-595-8200 or sales@nationalbusinesstraining.com to learn more. Start with National Business Training Cisco-authorized training and then explore the multiple certification paths depending on your job role and level of experience. Implementing Cisco Collaboration Devices (CICD v1.0) is an extended hours 5-day course focusing on providing the skills and knowledge necessary to implement Cisco Unified Communications (UC) solutions. It covers administration of end-user interfaces, telephony and mobility features, and Cisco UC solutions maintenance. CICD v1.0 is a version update to ICOMM v8.0. The primary difference is that video topics have been added into the course and Cisco Unity Express has been removed. ROUTE v2.0, a five-day course, includes major updates and follows an updated blueprint. (However, note that this course does not cover all items listed on the blueprint.) Some older topics have been removed or simplified, while several new IPv6 routing topics have been added. The course content has been adapted to Cisco IOS Software Release 15 and technically updated. This course provides system administrators and networking professionals with an understanding of the Cisco Unified Communications Manager System. Using real-world scenarios and examples, this course will explore all of the components of the UCS B-Series and C-Series solutions. Students will become familiar with, deploy, configure, and manage multiple UCS domains with UCS Central.